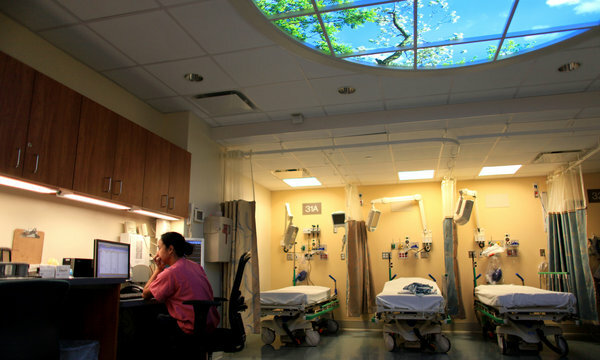 Mount Sinai Hospital in New York is pioneering emergency room treatment strategies for geriatric patients. It has joined other medical centers in creating a geriatric E.R. to improve the quality of care and outcomes. According to the New York Times, patients over 65 account for almost 20% of emergency room visits and that number will grow as the population gets older. Read more here. How do you eat under stress? For many, chronic stress gets under the skin, stimulates the appetite and influences what people eat — often leading to the indulgence in sweet, high-fat foods. These foods tend to make you feel better in the short term, but in the long run can cause health issues. Chronic stress, in fact, has been shown to impair immune responses. Elissa Epel, PhD., an Associate Professor in the UCSF Department of Psychiatry, is testing new strategies to help people cope with stress, including the art of mindfulness. According to Epel, being in the moment serves like a filter to help people better manage how they react in stressful situations. Epel and her colleagues are teaching mindful eating skills – such as the benefits of noticing each bite, how it tastes and how full one feels. The hope is the more mindful you are and the better you can manage and reduce stress, the less likely you are to overeat. • Don’t worry about convincing her that her loved one has already passed away, but to pay attention to the emotion she is expressing. • Perhaps having a photo of her loved one available that you can look at together, ask her to tell a story about her loved one, might be strategies that would satisfy her. • It’s helpful to try to stay in the patient’s reality, and the death of her loved one is no longer a part of her reality, so saying her (mother) is dead only confuses her. For more information, visit the Defeat Dementia website, join our Facebook Group, visit the UCSF Memory and Aging Channel on YouTube, or check out UCSF’s Memory and Aging Center website. DEBKAfile – Was the late ex-Iranian a US doctor or bio-weapon scientist? We hope that using this technique we can provide a method for differentiating people who will experience healthy cognitive aging from those who will experience cognitive decline due to diseases like Alzheimer’s. For those who will experience cognitive decline, we hope to predict its rate of progression. To learn more, here’s the press release.